Prime time anti-aging. Big time protection. 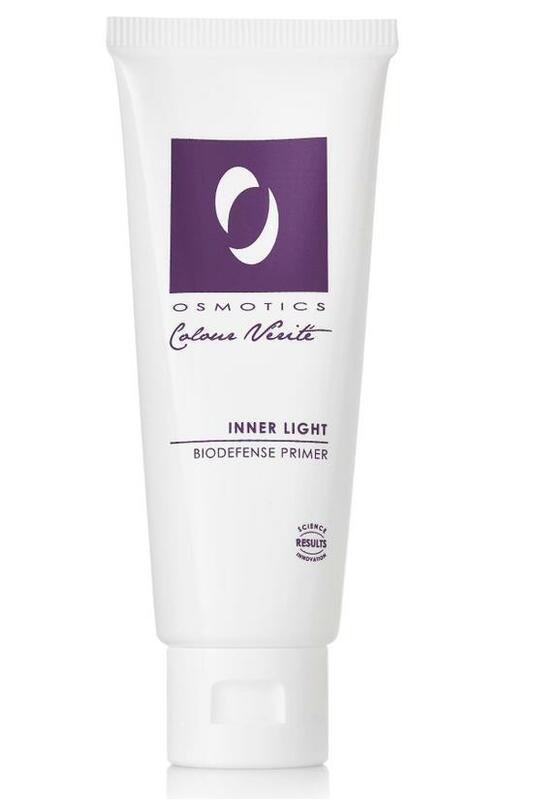 Multi-tasking primer fuses soft-focus pigments with Osmotics' award-winning anti-aging formula to balance and enhance your natural skin tone, lift contours, blur lines and wrinkles and protect against future damage. All you'll see is radiant, natural skin. Apply a pea size evenlyu to entire face. May be used alone, underneath or mixed with Real Skin Flawless Facial Tints for instant complexion perfection. Water, Cyclopentasiloxane, Simmondsia Chinensis (Jojoba) Seed Oil*, Prunus Amygdalus Dulcis (Sweet Almond) Oil, Titanium Dioxide, Mica, Cyclohexasiloxane, Dimethicone, Glycerin, Cetearyl Alcohol, PEG-100 Stearate, Glyceryl Stearate, Glycogen, Kappaphycus Alvarezii Extract, Caesalpinia Spinosa Fruit Extract, Diazolidinyl Urea, Iodopropynyl Butylcarbamate, Polysorbate 20, Carbomer, Tromethamine, Disodium EDTA, Tocopheryl Acetate (Vitamin E), Citrus Aurantium Dulcis (Orange) Oil, Panthenol (Vitamin B-5), Retinyl Palmitate (Vitamin A), Tocopherol, Allantoin, Tin Oxide, Iron Oxide.